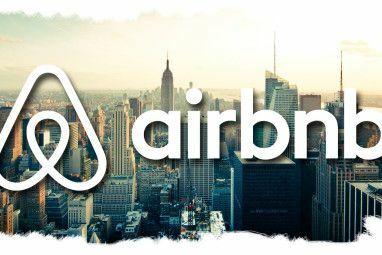 Everyone knows Airbnb, the now famous website that helps you find a place to stay all over the world without coughing up the price of a hotel. It makes it possible to meet the locals wherever you go, stay in their house, chat with them, and sometimes even have meals with them. 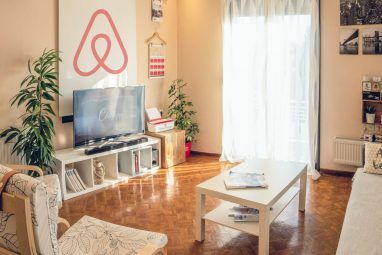 If you’ve used Airbnb to any extent, though, you know it’s not about the food, and you’re usually lucky to get a decent breakfast that’s usually not even local. So what are foodies who crave a real local meal to do? Introducing the Airbnb of food! Cookening doesn’t actually have anything to do with Airbnb, but being an Airbnb veteran guest myself, I couldn’t help but notice the resemblance between the two services. The only difference is that with Cookening, you don’t get a place to stay, you get a home-cooked meal from a local. Or, if you’re the local, you get to cook and host tourists in your house for a meal, without having to provide a place for them to sleep. What more can food and company lovers ask for? 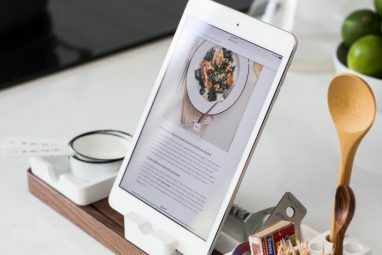 The principle of Cookening is very similar to Airbnb, but instead of providing details and photos of your spare room, you do the same for a proposed meal. Instead of browsing locations all over the world for a place to stay, you do the same for a place to eat. The meals on Cookening are not free — this is not table surfing — and can cost anything from 1 to 100 Euros ($2-$135) per person. In reality, most meal prices revolve around the 20-30 Euros per person mark, but there are many results for cheaper meals as well. So how do you get started? By signing up for an account, or logging in using Facebook, and specifying whether you’re interested in being a guest or a host (or both). You’re now ready to Cooken! So your heart is set on hosting strangers in your house for a meal. It’s a fun way to make a little money, no doubt, but unlike Airbnb, this is mostly about company and meeting new people, not about making money. You should also know your way around the kitchen, unless you’re offering something simple such as an afternoon tea or an aperitif. When setting up your meal, you can choose the type of meal you want to host, the maximum number of guests you want to have for this meal, and add a general description of your place and yourself. You can then entice your guests by adding dishes you plan to serve, or examples of things you’ve cooked in the past that will get your potential guests’ juices flowing. This is a make or a break point, where you will either tempt your guests to come enjoy a meal with you, or fail to do so and have them look elsewhere. The images of your creations can come from Facebook, Instagram, Evernote, Flickr, Picasa, or your computer. This is also where you can set the price for the meal, or as Cookening calls it, the “contribution”. Here’s where you decide if you’re only interested in meeting new people, want to at least get your money’s worth back, or want to make a little money from the meal. Remember, though, that people come to Cookening for a reason; they want to meet new people and have new adventures. They might not want to pay 80 Euros per person, no matter how good your food looks. It’s now time to add some finishing touches to your profile such as your location (only shared with confirmed guests), photos of your place, a profile picture for yourself, which languages you speak, etc. Before you can publish your profile and start accepting guests, you’ll have to accept (which might entail some reading) the host charter, and get verified by the website. I know, no one reads these things, but in this case it might do to know what your obligations as a host are. So you’re taking a trip, or maybe you’re just bored, and you’ve decided that you want to enjoy a home cooked meal with a Cookening host. Well, let’s hope you’re in one of the few locations that currently have Cookening hosts, because there aren’t many. 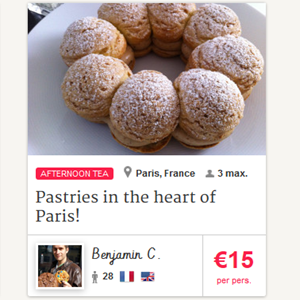 You see, Cookening is a fairly new website, and at the moment there are only around 40 users offering to host meals all around the world, with most of those being in France. So let’s say you’ve managed to find a host in a location you’re interested in, what now? First, you can check out the sample dishes and photos of the place, and see if they grab your attention. You can also check important information such as price, languages spoken by the host (to make sure you can communicate), and whether the venue has pets, and allows smoking. Just like Airbnb, you don’t get access to the host’s full address just yet, but a general idea of where the place is located. You can contact the host to find out about availability and dates, or any other information you need, before you finalize the reservation. Note that you might not be the only guest at the table for this meal; if the host gets requests for the same date from someone else, all of you might get to enjoy a meal together. Need some help choosing a host? On paper, you should also be able to read other guests’ reviews and comments about the host, but this is pretty scarce at the moment, with the site being so new and all. These reviews should also be available for guests, eventually, to help you decide, as a host, if this is a person you want to have in your home. Why do you assume there is one? Since you’ve asked, though, it’s important to note that as a guest, you’re not only paying your host’s set contribution, but also a 16.7% Cookening service fee which is added to the total amount. This is, at the moment, Cookening’s business model and revenue plan, and since we all need to make money somehow, and they do provide us with this nice opportunity to meet new people, we can be gracious about it. As a host, however, you don’t have to pay anyone a dime. Except for the food vendors you purchase your ingredients from, naturally. If it works for Airbnb, why shouldn’t it work for Cookening? The only thing currently missing from this website is you. Cookening must have more users to become great and reliable like Airbnb, which is why I hope you’ll head over and give it a try. Personally, I don’t see myself hosting a meal in my house (I don’t even own a table! ), but next time I’m abroad I might look up someone on Cookening and try the service out. In case you’re not planning a trip any time soon, or can’t find a Cookening guest where you want one, you can always use the brilliant mmMule mmMule Helps People Get What They Want & Crave From All Over The World mmMule Helps People Get What They Want & Crave From All Over The World mmMule is a community built around people who want things they can’t get, and people who travel the world and are willing to bring them. Part of mmMule is AngelMule, which is aimed at helping... Read More to discover foods and other goodies from abroad. What about you? Will you be Cookening? Explore more about: Cooking, Travel. 4 Reasons to Switch to Managed WordPress Hosting for Your SiteCan You Make A Living Out Of Ethical Hacking?